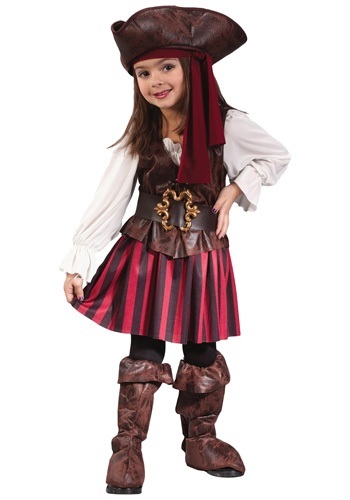 Caribbean Toddler Pirate Girl Costume By: Fun World for the 2015 Costume season. It looks like its a pirate's life for this little one. If your little girl love pirate ships, buried treasure, and even skulls & crossbones, she'll adore this Caribbean Toddler Pirate Girl Costume. This cute costume is great for imaginative play and even comes with the hat and matching boot covers.